HERITAGE CARRIAGE RIDES- Living your Smoky Mountain dream vacation wouldn't be complete without a an exquisite horse-drawn carriage ride through Pigeon Forge. It's one of the city's most exciting "things to do!" Whether you're planning a special event or just looking for "fun time" with family and friends, this unique experience becomes a treasured memory you'll never forget! Where Your Special day Becomes "A DREAM COME TRUE!" The most beautiful day in every woman's life is her wedding! 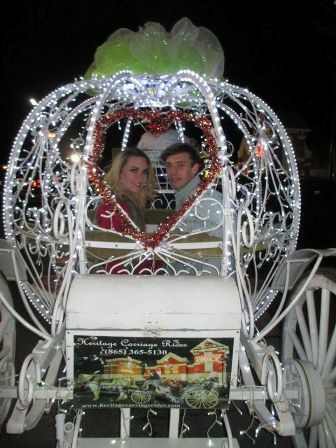 A wedding in the Great Smoky Mountains wouldn't be complete without a romantic carriage ride! 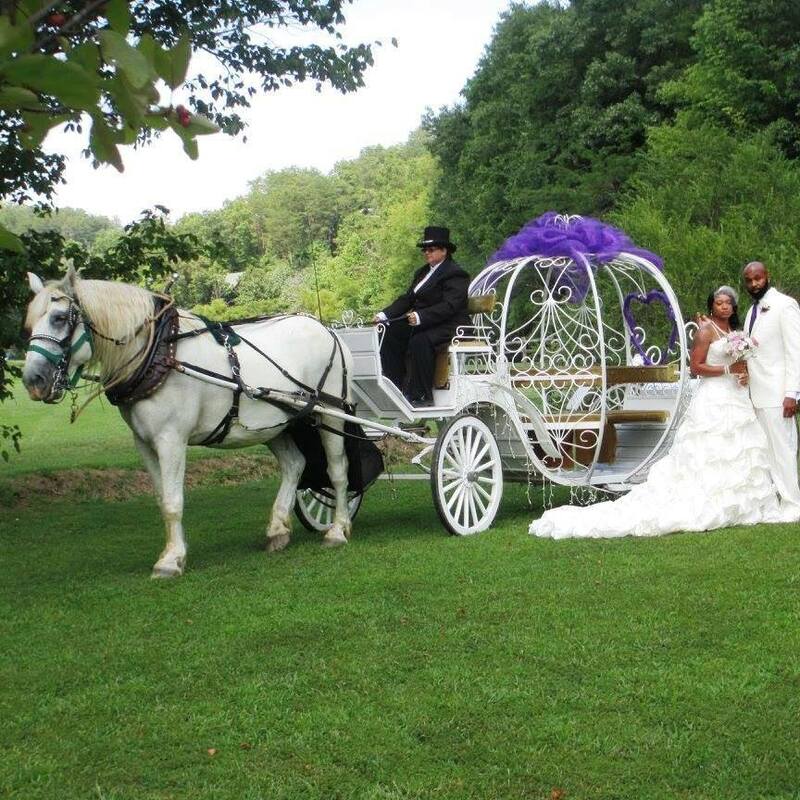 Heritage Carriage Rides has the perfect commute for any size wedding! From a small carriage adorned with colorful ribbons to their big Cinderella Coach, it's sure to be the perfect setting for creating your storybook wedding! What's your fancy??? Are you a member of the "Red Hat Society?" Or, perhaps a church, or Sunday School group Maybe you're planning a field trip. 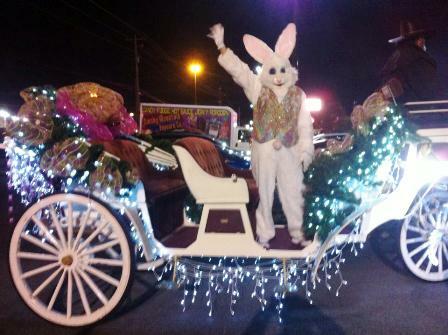 Whoever you are, or whatever you do, Heritage Carriage Rides has the perfect ride for you! Christmas in the Smokies is one of the most beautiful times of the year! It's a wonderful time filled with celebrations of Jesus' birth, delicious holiday meals, Winter festivals filled with singing, and dancing! 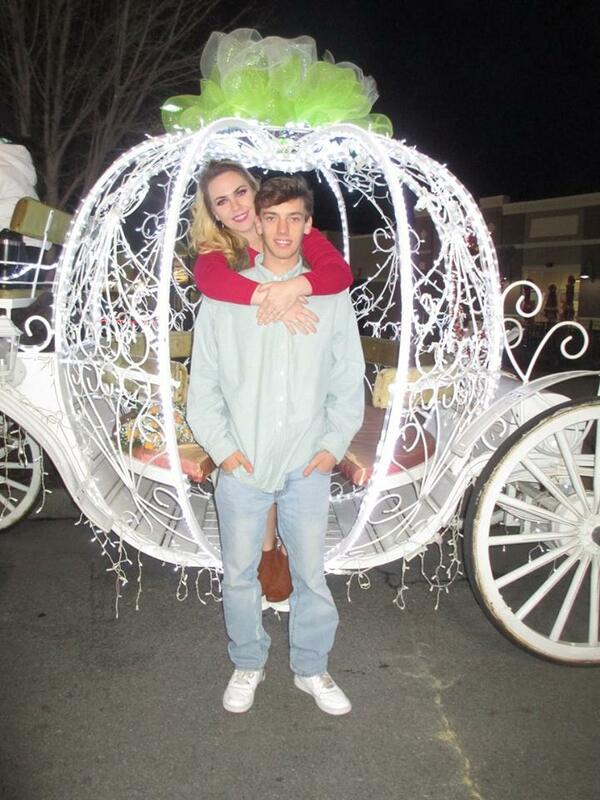 Now let's add, a festive evening carriage ride laced in twinkling lights! It's an amazing sight to see, but when you become a part of the vision, it really becomes a dream come true! 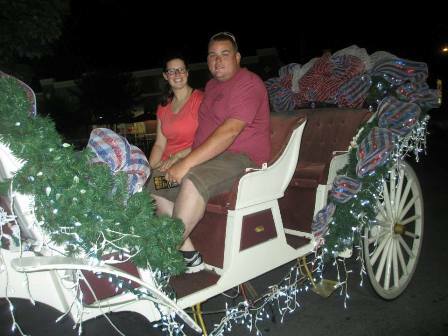 Start a new tradition by taking a beautiful carriage Ride! Birthday celebrations are always fun! But a birthday carriage ride is going to be a real "blast" for kids of all ages!! From ages 8 to 88, everyone is sure to have the time of their lives riding in a horse-drawn carriage. 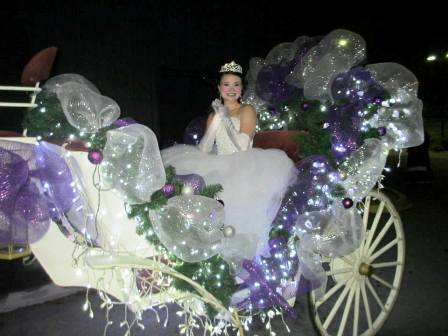 The carriage is decorated in colorful array specifically for the event! There are plenty of exciting things to do in these mountains, however, if you are looking for something unique, then a horse and buggy ride on the strip is definitely the way to go! The ride length normally runs from 12 to 15 minutes! They're great for sightseeing, or for just enjoying a lovely ride. Different size carriages are available to accommodate every member of your group or family. Regular rides run about 15 minutes. For guests with cameras, the staff is happy to take photos of you and your party. During cooler seasons, these carriages come equipped with soft, lush blankets. Make an appointment by calling (865) -365-5130. The carriages run nightly seven days a week during tourist season. They specialize in parties, family groups,weddings, or any other special event. 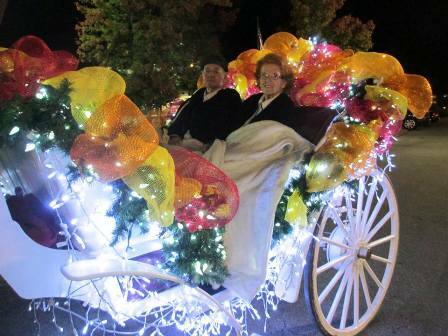 Heritage Carriage Rides is located at Walden's Landing - Red Light 2B on the Parkway - Pigeon Forge.